Research has shown that around 87% of Americans aged 16 and above engage in driving. On average, they are on the streets for 290 hours every month. If your trucks are constantly on the road, it means through mobile advertising, you get to reach a significant number of potential clients. Trucks contain huge bodies which you can cover with large vivid posters. They provide a large canvas that you can use to display your brand and also show your business’s creative edge. This is also what sets truck advertising apart from other marketing strategies. 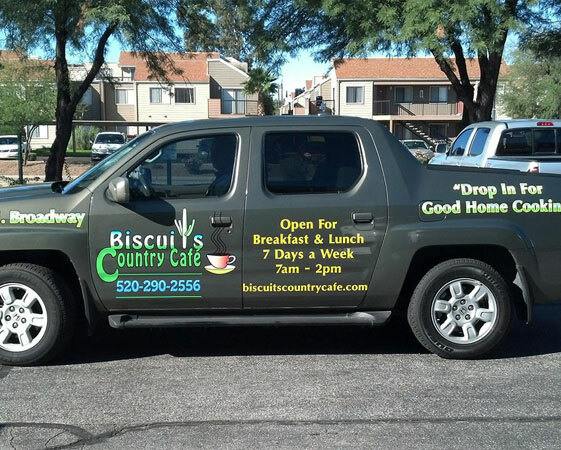 Truck advertising is a cost-effective way to advertise your brand, and it saves you money in the long end. One, vinyl wraps on trucks can last for 7 to 8 years. Two, there will be no making seasonal payments like in other marketing strategies. Plus, truck wraps have been known to shield the truck’s body from scratches. All these go to show how truck advertising saves you money in the long end. If you were to put up a billboard, there would be many hindrances compared to truck advertising. Truck advertising provides you with immense freedom to execute your content. To carry out an effective truck advertising campaign, you need to get several things down. One, you need to come up with the ideal font type and size. This is what ensures visibility. Two, you have to come up with the right color scheme that is engaging to the observer. Three, avoid choking the truck body with too much content. Instead, put on what is necessary. Designing truck wraps and getting them right calls for professionals and at Kachina Sign Center, we will create the ideal truck wrap for you. Contact us for more information.